The rise of smartphone technology has had a widespread impact on a large part of our lives, and one such an impact is without a doubt gambling, by mere virtue of the fact that we now have a high-powered internet-enabled device that fits in the palm of our hand. People can literally have a bet wherever they are in the world, be it on the bus on the way to work, the beach or just while lazing around at home in front of the tele. The possibilities to make a bet are endless, with new online casinos and betting apps being launched almost daily. For the punter, things have never been better, with more and more of these apps now offering free ways to play and that includes free spins. It has never been easier to squeeze in a quick game of blackjack, a round of poker or a few spins on a slot machine than it is today. Free spins are one of the key ways companies look to lure in new users to their sites. But what do people need to know about gambling on their mobile devices before starting? 4 What are Free Spins and why are they so Popular? According to the latest Global Games Market Report from Newzoo, the global games market will generate $116.0 billion in game software revenues in 2018. 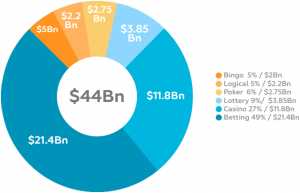 This is an upward revision from the last Global Games Market Report, indicating the rapid pace of growth in the sector, which includes gambling on mobile devices. Estimates produced by Newzoo indicate that the global games market is going to be worth as much as $143.5 billion in 2020, but this figure might well prove to be a low guess. 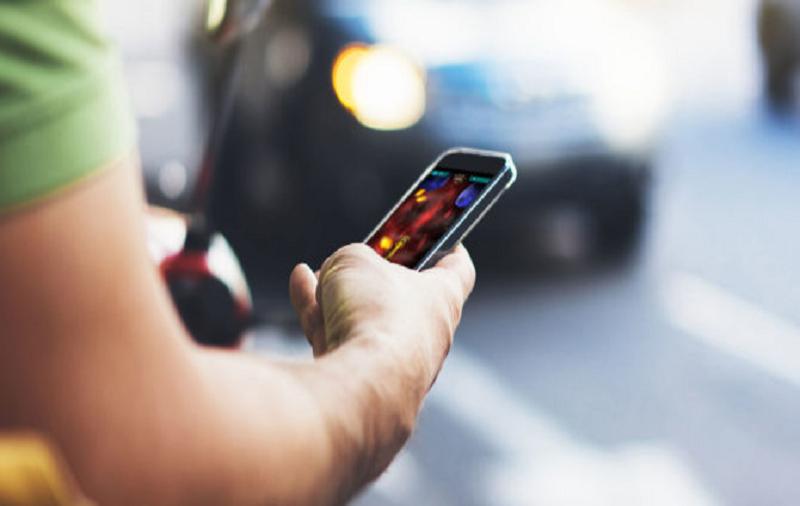 Part of the reason for the rapid rise in game software revenues in 2018 has been the increase in casino apps that are available for people to download on to their smartphones. Smartphones have spread at an incredible speed all over the world and most people in a developing country not own one of these devices. The ability to check emails, access the internet and so on while on the move has been nothing short of revolutionary, especially as it has increased the leisure options available as well. Previously, the dead time such as the minutes spent waiting in a queue were a massive pain and people would have been frustrated at wanting to get on with their day. But now we have these amazing devices. Smartphones and WiFi is the perfect combination, so now if you have your device connected to the internet there is a world of leisure options right at your fingertips. Inevitably, what some people want to use this capability for is to gamble, with online casinos and sports betting sites growing quickly in order to serve this need. Indeed, there are so many options out there that they have to compete hard for business, offering a range of promotions in order to entice people to select their site over rivals. And one of the ways they do this is by giving away offers such as free spins on the latest slots games from the like of NetEnt and Microgaming. What are Free Spins and why are they so Popular? For people who like to play online slots, free spins are seen as something of the holy grail. They do exactly what they say – they are spins that are free – giving people the chance to win without laying out anything themselves. Obviously, being able to win free spins is therefore very highly prized and companies use this knowledge to keep a firm grip on the number of free spins they are willing to offer. But when free spins are up for grabs, people should take advantage as quickly as possible. Free spins are usually up for grabs whatever type of device you are using for a casino site. However, sometimes they will be offered only to be used via a mobile site or even an app, which can be downloaded right on to your smartphone or tablet computer. The reason behind this is to encourage people to gamble more while on the move, but many individuals have started to do this anyway as they prefer to bet out and about. Free spins will often be put up as part of a package to encourage people to sign up to get a new account as well, so you usually get to start out with a bonus. Those who want to try out a new slot machine they have never played before can use the free spins to test it without spending any of their own money. Others will use free spins on their favorite games in the hope of hitting the jackpot – for free! Casino players may already have their own strategy to get the maximum amount of free spins that are up for grabs. But those who are newer to using online slot games may find some tips to be useful here. Always keep a close eye on the promotions page of your chosen casino operator to see what offers they are running regarding free spins. Usually, you will have to stake a certain amount to be able to qualify, so check the small print first and make sure you do not have to be playing on a specific game to earn the free spins. Look for the slot games with the best return to play – sometimes written as RTP – as these offer the best long-term chances of coming out on top. RTP should be clearly displayed by casinos. Shopping around is another good way to get the best deals on free spins. Do not be afraid to open accounts with a few different casino operators to maximize your chances. After all, there are no rules suggesting you should have to stick to the same casino site. By using a few different places to play slot games, the chances are you will be able to qualify for more free spins in the process – then it is up to you how you choose to use them!